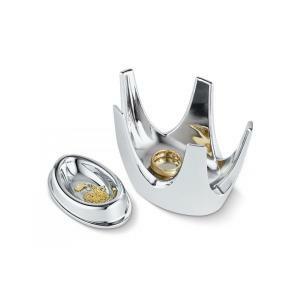 A beautiful and charming place to keep your rings with a hidden safe box in the bottom! 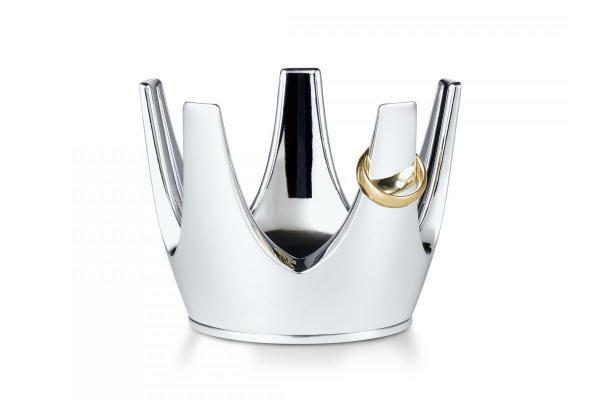 The Crown jewelry holder rises majestically and cradles your precious rings, necklaces, and earrings with a highly polished charm. It also has a secret compartment hidden in its base. It comes in an elegant gift box as well.